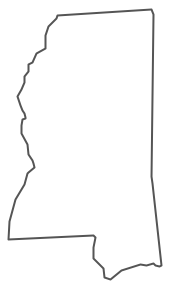 Mississippi currently has a TEFRA program and three HCBS 1915(c) waivers that serve children. All programs waive parent income. See their Long Term Care page for an overview of Home and Community Based Services. A previous PRTF waiver for children with serious emotional disturbance has been converted to MYPAC, a state-based program. Mississippi also has two adult-only waivers, Elderly and Disabled and Assisted Living. How to Apply: Apply at your local Medicaid office. You must complete the Medicaid application, the Disabled Child Questionnaire, and the Medicaid Certification for Disabled Child Living at Home. Description from medicaid.gov: Provides day services – adult, in-home respite, prevocational services, supervised living, support coordination, supported employment, supported living, specialized medical supplies, therapy services, behavior support services, community respite, crisis intervention, crisis support, home and community supports, host home, in-home nursing respite, job discovery, shared supported living, transition assistance for individuals with autism, DD, and ID, ages 0 - no max age. How to Apply: Contact Mental Health at 1-877-210-8513, or contact the Division of Medicaid at: 1-800-421-2408. Waiting List: Mississippi has 1013 people with physical disabilities and 1441 people with developmental disabilities on its waiting list. Target Population: Teens and adults with physical or other health disabilities. Description from medicaid.gov: Provides case management, personal care attendant, FMS, environmental accessibility adaptation, specialized medical equipment and supplies, and transition assistance for aged individuals (ages 65 yrs - no max age) and physically disabled and other disabilities (ages 16-64). How to Apply: Contact Long Term Care at 1-800-421-2408 or 1-601-359-6141, or contact the Department of Rehabilitation Services at 1-800-443-1000. Target Population: Children and adults with brain or spinal cord injuries. Description from medicaid.gov: Provides case management, personal care attendant, respite, environmental accessibility adaptations, specialized medical equipment and supplies, transition assistance services for individuals physically disabled and brain injury, ages 0 - no max age. Waiting List: Mississippi has 69 people with TBI/SCI, 1013 people with physical disabilities and 1441 people with developmental disabilities on its waiting list.